The Beauty Scoop! : 50% Off Lashes at Benito Brow Bar Nationwide Today and Tomorrow Only. 50% Off Lashes at Benito Brow Bar Nationwide Today and Tomorrow Only. 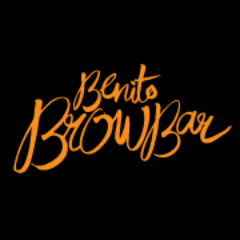 This is just a quick heads up that lash and brow brand 'Benito Brow Bar' are treating their customers to a fabulous 50% discount on lashes today (Wednesday 13th August 2014) and tomorrow (Thursday 14th August 2014). Not only that, they also offer complimentary tinting every Tuesday - I'm not sure about how this works, having only seen it on their Twitter feed, but I'll find out more and update this post later on. What Questions Would YOU Ask The Pixiwoo Sisters?